We are quickly coming up on the last quarter of the year. This is a time for reflection - on the past year -and planning for the New Year. Have you had a good year? Did you achieve your goals? Are you happy with your practice growth? I'm celebrating the publication of my second article in Practice Management Solutions! Here it is: "Set Motivational Goals for Practice Growth." I encourage you to print out the article and use it to plan next year's growth. There's a handy side bar at the bottom of the article which gives you some examples for achieving three sample goals. If your efforts to plan success this year were on the weak side, take time to plan out next year. By engaging in efforts to think about growth now, you'll be ahead of the curve. Before you know it the holidays will be here and you'll put planning on the back burner. Get it done now and get it out of the way. * What would your practice look like if you reinvented yourself for 2011? * What will your brand require to set your practice apart? * How can you position your brand so that it's not like every advisor out there? Here's a great book to help plan your reinvention: Blue Ocean Strategy – How to Create Uncontested Market Space and Make the Competition Irrelevant. Order it from Amazon. 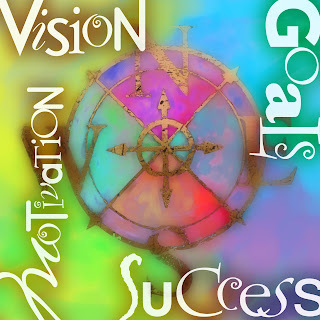 For next year, think about vision, motivation, goals, and success and what that looks like to you. We've been through a horrendous two years. It's time to get moving and reach for that which has been out of reach during the Great Recession. The way to do that is to take full control of your life now.